Spudsmart | by Molly Biedenfeld | September 2016 – Being wholly dependent on the land, farmers are most successful when they work in tune with nature’s rhythms and requirements. Achieving maximum plant nutrition and yield through a combination of best management practices is integral to any farming operation, as seen with the widely adopted 4R Nutrient Stewardship program. Created to help operations increase profitability and sustainably, the four cornerstones (4Rs) of nutrient stewardship – right nutrient source, right rate, right placement, and right timing – optimize efficiency by combining conservation practices with agronomic and economic benefits. We all know the old cliché that nature is not kind. Neither is she patient. Maximizing yield and minimizing loss depends on getting timing exactly right at every stage from seeding through harvest. Right timing is a critical but sometimes challenging cornerstone of nutrient stewardship and a successful fertilizer program. Right timing ensures nutrient release and availability match crop demand at every stage of growth, reducing nutrient loss due to soil tie-up, leaching and runoff and increasing productivity and profitability. Leave a crop deficient, even for a short time, and crop health and yield will suffer significantly. However, oversupplying a nutrient is wasteful, expensive, damaging to sensitive eco-systems nearby, and can adversely affect plant physiology. cwt. The majority of this nutrient is used during the bulking stage, from 40-days post-emergence through harvest. Yet, P – typically a water-soluble nutrient – is generally applied at seeding so it peaks and dissipates relatively early in the growing cycle. Despite being relatively immobile in the soil, phosphorus is still subject to tie-up and wash-away. 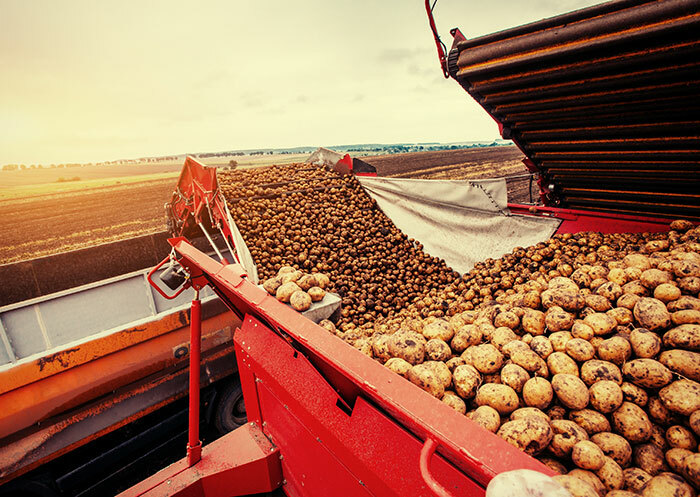 This can lead to potato growers applying higher than removal rates to compensate for soil build in low testing soils and poor phosphorus use efficiency. Mid-season applications can help, but reaching the roots later in the season can be a challenge. fertilizing is taking off, allowing growers to adjust their nutrient application based on the varying needs of different areas within a single field. And slow-release, enhanced efficiency fertilizers, co-granulated products and other advanced nutrient technologies now better allow farmers to fine-tune their programs. help farmers can stay on track for both profitability and sustainability.